Dialux lighting calculations carried out to ascertain correct lighting levels within stairwells of multi storey residential blocks, Taberner House in Croydon. Our annual recycling statement notifies that in the past year we recycled 350kg of paper and cardboard, this is saving the equivalent of four trees and 490kg of CO2. 20.12.18 Merry Christmas from all at AMA! Season’s Greetings from all at AMA! We have had a very busy year of many interesting projects and look forward to working with new and existing clients in 2019. To kick off the year, we will be extending our offices to accommodate our growing team. Our offices will close at 12.00 on Monday 24th December and re-open Wednesday 2nd January. We are working on the M&E services design for the extension block at Seaside Studios in Portslade. The new block has ground and basement floors and houses the music production rooms. The existing building, a former Salvation Army Citadel built in 1910, houses the live recording rooms. We have developed a 3D IES model (image on left) to establish heating and cooling loads, image on the right is the proposed North elevation by Liam Russell Architects. UK heat networks (district heating systems) are evolving from 3G to 4G. Whilst 3G heat networks produce energy efficiently from an energy centre, they are tied into their original heat source (e.g. CHP engine backed by boilers). The 4G heat networks integrate electricty, thermal and gas grids and work on an ‘open source’ approach offering flexibility for buildings to use diverse sources (i.e. CHP, boilers, heat pumps, solar thermal, waste heat etc.). 4G also allows buildings to contribute waste heat back into the grid. Our site surveys take us to every corner of a building, including the cleaner’s cupboard where Henry Hoovers were holding a meeting. AMA are working for ProMEP on the Landsby Stanmore residential block in the London Borough of Harrow. The building is a ‘later life’ development for the over 65’s, featuring 101 easily adaptable apartments and communal on site facilities designed to keep residents living as independently as possible. An adjacent building of 70 apartments also forms part of the development, both buildings are served by a central CHP. AMA are working for Paine Manwaring on the Southlands Hospital medical records project. The Trust are relocating their Medical Records and admin staff within the existing buildings on site, AMA are employed to carry out M&E design to bring the new location to user requirement. We have now completed the contract issue drawings and documents, works are due to start on site. AMA go to Goodwood for a day out at the ‘world’s most beautiful racecource’. We were treated to a meal with a panoramic view looking directly out onto the race course. The venue host told us about the history of the grounds and gave tips on what to look out for, we even spotted one of the Queen’s horses! AMA are working for ProMEP on the new Tabener House and Queen’s Gardens residential development in Croydon. The development consists of four tower blocks, the highest with 35 storeys, in a prominent central Croydon location; the site has been vacant for a number of years after the demolition of the old council offices. AMA are providing M&E design duties, including the sizing of a new central CHP plant. Phil Rowbottom is joining AMA as an engineering trainee. Phil comes with a strong digital technology background. Welcome Phil! Sonny Daluz, year 10 student from Dorothy Stringer High School, is doing a work experience week at AMA. Sonny has always been interested in engineering and will be learning the basics of 2D drafting and 3D modelling with the use of AutoCAD and IES VE packages. Ansty Ward is the new urology department at Princess Royal Hospital in Haywards Heath. AMA is employed by Kier for M&E design duties. We originally worked on the design two years ago when the project was put on hold, the Trust is now ready to progress with the works and AMA are issuing Construction documents for imminent start on site. 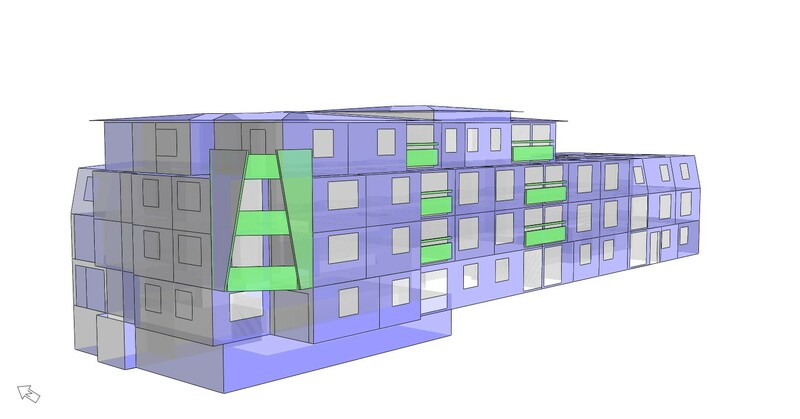 AMA are working on the M&E design for three new student accommodation projects for ProMEP. These include Forest Road in Walthamstow, Holdenhurst Road in Bournemouth (image below) and Oldway Centre in Swansea. AMA are employed by Octink for M&E design duties for a new prestigious Postmark Marketing Suite at Mount Pleasant in Clerkenwell. The marketing suite is for a high end housing development in the heart of London, on an old Royal Mail sorting office site (Image by Darling Associates Architects). Phase II of the RSCH Guildford Hospital A&E Reconfiguration has started on site. AMA are also working on the feasibility for new operating theatres and pathology laboratories at the hospital. AMA welcome Jonathan Matson as a trainee mechanical services design engineer. Jonny has a degree in Mechanical Engineering and previously worked for a site based contractor as a commissioning manager. Welcome Jonny! AMA appointed to design and oversee the electrical installation to the new sound studio development by Seaside Studios in Portslade, Brighton. A crucial part of the design is to minimise interference of power waves to data signal to retain clean recording sound. AMA appointed by Balfour Beatty to carry out testing and commissioning of MEP services at the new student accommodation on the University of Sussex Falmer Campus. We are working on the refurbishment of the Thomas Kemp Tower at Brighton General Hospital. The refurbishment is phased to ensure uninterrupted operation of the ante and post natal services. Works include Level 11 refurbishment to HTM & HBN compliant ward and Level 12 Triage area. Testing and commissioning of MEP services has commenced at Royal National Orthopaedic Hospital, RNOH Stanmore. Congratulations to Manuel for gaining Chartered Institution of Building Services Engineers (CIBSE) membership and Chartered Engineer status. Our annual recycling statement notifies that in the past year we recycled 330kg of paper and cardboard, this is saving the equivalent of four trees and 470kg of CO2. We worked for KIER on this £2 million Worthing Hospital ward refurbishment, which has been completed on time and within project all adjacent live environments and connecting to existing engineering services infrastructure. The £2 million Worthing Hospital East Wing Reconfiguration is now nearing completion. AMA are working for Kier, providing M&E duties associated with the new ward configuration. AMA are currently designing and providing contract administration for replacement of existing domestic hot water calorifiers with new plate heat exchangers and buffer vessels. In the photo on the left we can see some of the existing domestic hot water storage calorifiers serving the hospital East Wing, which have medium temperature hot water tube bundles (installed 20 to 40 years ago), and the photo on the right shows a modern plate heat exchanger with equivalent heat output. AMA completed commissioning management for M&E Services. This included witnessing all systems in accordance with the regulations, keeping track of all pre-commissioning and commissioning of services activities and producing a report for Paine Manwaring/ Kiers. Merry Christmas and Happy New Year from all at AMA; we look forward to working with you on new and exciting projects in 2018. AMA worked for Paine Manwaring producing clash detection for MEP services using Revit. We also produced working drawings and the record BIM model for the client. Images below show BIM model snaps of the plantroom. AMA has provided MEP Due Diligence on a group of Care Homes in Spain for Venture Management and Technical Services (VM&TS), a Spanish based company providing Project and Design Management for JLL. Careful planning required for our M&E design on the refurbishment of this essential care centre open 24/7. Congratulations to Hanna, our Building Physics expert on the birth of her gorgeous baby daughter, Viola Mae. All stations go for the Southern Central Ambulance Service in Newbury with its impressive refurbishment of existing industrial premises. AMA were pleased to carry out the M&E performance specifications and drawings for the job. The latest CIBSE Journal introduces the new TM59 Design Methodology for the Assessment of Overheating Risk in Homes. The TM addresses the complex way buildings respond to external temperatures and presents a standardised methodology to dynamic thermal modelling of the overheating risk, which we welcome. In addition to the currently used criterion, the new TM includes more parameters to assess and to input. Read the full article here. A new house designed by LCE Architects in collaboration with Tom Dowdall is in for Planning. The house is on a site in the High Weald AONB and within the setting of a listed building, it is designed around a courtyard and the concept of wellbeing. AMA carried out extensive energy and thermal dynamic analysis and worked in close collaboration with the architect, to design a low energy building that meets the requirements of Paragraph 55 of the National Planning Policy Framework. Paragraph 55 requires the building to be of a raised standard of design and innovation, significantly enhancing its immediate setting. Sustainable Homes has identified that 80% of existing housing reviewed is at risk to overheat. This research supports our experience; controlling overheating without active cooling can be a challenge, especially as the climate warms. Our top three passive control measures for housing are; external solar shading; windows that enable cross ventilation and internal thermal mass to absorb excess heat. Read the full study The Review_Safe as Houses 2017. First staff have moved into the new SECAmb Emergency Operations Centre and HQ in Crawley. AMA provided M&E and building physics services for the project. You can read more here. Constructing thermal models of new and existing buildings on a variety of projects using IES. BIM modelling by carrying out Mechanical & Electrical Building Services design using Revit. Raising quotations and technical specifications for our sister company who are suppliers of external shading products. We have been appointed as MEP commissioning managers at the new inpatient ward block for the Royal National Orthopaedic Hospital NHS Trust. The new five storey building will provide 91 beds and is the first phase in the long term plans for redeveloping the Stanmore site. AMA are working for Balfour Beatty. AMA are employed by ProMEP to design mechanical services for a 32 storey high rise block in Stratford. The development includes three separate use areas; residential, academic teaching and student accommodation. The design incorporates central heating CHP plant serving heat interface units in building zones. 02.03.2017 Congratulations to Manuel on MSc! Manuel has been awarded a Merit for his Building Services Engineering Master of Science course at London Southbank University. Manuel wrote his dissertation on simulation and real data comparison of a building using IES modelling. We have recently carried out assessments in compliance with Building Bulletin 101. The assessment utilises IES and looks at CO2 concentration levels, ventilation provisions in learning spaces and summertime overheating risk in occupied areas. We were employed by Paine Manwaring to assess two new build schools, Rustington Community Primary School and Downlands Community School. NTC Designs architects appointed us to analyse the window replacement for Nightingale Academy in Edmonton. Our annual recycling statement notifies that the past year we recycled 260kg of paper and cardboard, this is saving the equivalent of three trees and 370kg of CO2. All of the office paper is recycled and our efforts to reduce paper use are showing; this year the consumption is down by 28%! We are partnering with Global Documentation on record information production for one of Bank of America’s UK offices. We have carried out extensive M&E surveys, including Panono 360 photography and are using Revit MEP to build a 3D BIM model of plant rooms. AMA are working on the refurbishment of a Grade II Listed building situated in a conservation area. The building was originally a home to a wealthy family, having been used as financial sector offices until 2007. Planning permission has now been granted for a change of use to an educational facility. AMA duties include full M&E services design. Merry Christmas and Happy New Year from all at AMA! Our offices are closing for the Christmas break on Friday 23rd December and reopening on Tuesday 3rd January. We look forward to working with you in 2017. David Marshall’s band Marshall Burns plays a gig at the RISEFest in Brighton. RISEFest is in aid of Rise, a Sussex charity helping those affected by domestic abuse. They work alongside survivors giving practical support to help them rebuild safer lives. AMA are providing building physics consultancy for a new Paragraph 55 house planning application in Mid Sussex. Paragraph 55 of the National Planning Policy Framework requires any project to be truly outstanding or innovative in the highest standard of architecture. Our initial work focuses on passive energy studies, including detailed solar, thermal mass and natural ventilation analysis. Varndean College student Cian Cox-Golding is at AMA this week for half term work experience. Cian has quickly picked up the basics of 2D drafting and 3D modelling with the use of AutoCAD and IES VE packages. Good luck to Cian with completing his final year at college and all the best for the future! Works are progressing at the new South East Coast Ambulance HQ. Fan coil unit alterations are now completed from existing cat A to cat B as the occupier requirements. Emergency chiller to provide resilience is on order. AMA have carried out further IES environmental modelling to include client specified internal gains and occupancy patterns. Works are due to be completed by the end of the year. AMA are working for M&E contractor Paine Manwaring, we are performing a number of duties on the SECAmb HQ a life critical facility near Gatwick Airport for the local ambulance trust. Part of our initial work has been to perform environmental modelling to check the capacity of the existing cat A basebuild M&E services. We are working for Global Documentation and Standard Chartered Bank on a refurbishment of a part of the ground floor of the Bank’s UK Head Quarters, to create agile work spaces. AMA have carried out detailed M&E design. Today is predicted to be the hottest September day in the UK for more than 50 years, link to article here. As environmental engineers we use tools like IES to dynamically model the thermal environment in buildings to predict how they will behave during extended hot periods, helping us to design buildings that keep cool in the warming climate. AMA are now part of Gratte supply chain, who are the mechanical and electrical contractors working on Marshall Wace’s new 43,000 ft² London office. We have been employed to provide co-ordinated MEP services drawings and record drawings. We are back working for Sussex Community NHS Trust who have employed us to design a replacement boiler plant to serve Conway Court Clinic in Hove. As part of the project we carried out thermal modelling of clinic. We are pleased to be working with BM Air on a number of projects providing mechanical services design. 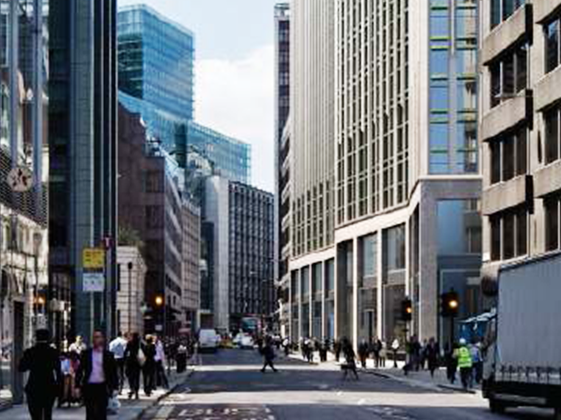 Projects include new NatWest branch of Fenchurch Street, upgrade projects for NatWest and RBS Bank, Legal and General offices and Pickhurst Junior Academy. AMA appointed to provide full MEP & building physics duties for a new BREEAM Excellent project in Southsea. The mixed use building includes student residential accommodation over three floors with ground floor doctor’s surgery and pharmacy. Good to be working again with South Central Ambulance Service NHS Foundation Trust, Murphy Philipps Architects and Arcadis Project management on a new education facility in Newbury. AMA return to the Bluebell Railway for an atmospheric steam train ride in the Sussex Weald. AMA has successfully delivered several projects using BIM level 2 tools including International College at the University of Bournemouth. Click here to see the Case Study. For more details on how AMA can help with BIM on your project, please contact David Marshall. AMA have been appointed by the Lewes Football Club to provide MEP design concept for the new club building as part of the redevelopment of the Dripping Pan grounds. AMA are working for Kier and Paine Manwaring to provide BIM Level 2 mechanical services modelling for a new sports centre at Windlesham House School, an independent pre prep school in West Sussex. The chilled water optimisation works are nearing completion at the Standard Chartered Bank; mechanical works are now complete and the project is ready for commissioning. AMA have used RevitMEP for visualisations of the plant and pipework in the chilled water plantroom. AMA and DH Design architects are working on the refurbishment of the Laughton Cottage in West Sussex. The project includes a two storey country house with an extension, separate pool house and a garden studio with workshop and garage. AMA are currently assessing low energy heating and hot water systems; we use tools like IES thermal modelling and Life Cycle Costing to evaluate options. AMA have been appointed by Brighton and Sussex University Hospitals NHS Trust for the role of services engineer on the ED Reconfiguration Phase I project at Royal Sussex County Hospital, in conjunction with HDS Architects. News update: AMA appointed for Phase II of the works. AMA are committed to reducing their operational environmental impact, including recycling with local branch of Paper Round. In 2015 we recycled 360kg of paper and cardboard, this is equivalent of four trees and 500kg of CO2. AMA have been appointed by Brighton and Sussex University Hospitals NHS Trust for the role of services engineer on the redevelopment of the existing Accident & Emergency Department at Royal Sussex County Hospital, in conjunction with HDS Architects. AMA’s annual jamon tasting evening brings a taste of Spain to Brighton. David Snr hand picked the jamon from Guijuelo, known as the superior quality Iberian ham. Manuel was at hand to show our guests from LCE Architects the jamon cutting technique. We continue working for Octink to provide MEP services design for residential development marketing suites. Recent projects include Bicester Ecotown, Keybridge House, Madison Sales Office, Colindale Gardens Marketing Suite, Great Eastern Quays at Royal Albert Wharf and Catford Green. Images by Octink. Season’s greetings from all at AMA, we wish you a merry Christmas and a happy New Year! Our offices will be closing for the holidays on Thursday 24 December and reopen on Monday 4 January. We are continuing working for ProMEP on another student accommodation project. This new build block in Walthamstow has seven storeys of student bedrooms, studio rooms, common kitchen/living rooms and reception area on the ground floor. We are using Autodesk Navisworks BIM tool to model the plantroom with detailed DHW services for co-ordination and installation. AMA are further developing our BIM skills by trialling a new integrated lighting calculation add-in for Revit. ElumTools calculates point by point illuminance on any workplane or surface utilising lighting fixture families and surface geometry already present in the Revit model. We are pleased to be working in East Croydon on a new Cat B office fit-out for Network Rail. Category B fit-out is the comprehensive fitting out of an office environment to the occupiers specific requirements. AMA are responsible for design of mechanical and electrical engineering services. The recently completed Keybridge marketing suite forms part of the on-going regeneration of Nine Elms in Vauxhall, London. AMA were appointed by Octink to carry out full MEP design duties, our method included thermal modelling of the building to establish heating and cooling loads (Photographs by Octink). AMA complete mechanical services design and IES thermal dynamic simulation for ProMEP at five student accommodation blocks on Dunaskin Street in Glasgow. To check the requirement for mechanical cooling in key common areas, an overheating risk assessment and analysis of natural ventilation rates was carried out. 30kWp solar photovoltaic installation at Standard Chartered Bank’s head quarters in London is completed. The images show the old poor ecological quality green roof, specialist green roof mounting frames and the newly installed panels with partially completed planting. The systems two work in synergy as the PV array offers shading & moisture for a more diverse fauna, where as the green roof helps to keep the panels cool and work more efficiently. This installation is the first solar green roof in the City of London. AMA have carried out IES energy modelling and Life Cycle Costing to establish best suited low energy services options for the Wakelands Farmhouse on the Glyndebourne Estate in East Sussex. The historic building would greatly benefit form improvements to the building fabric and the inclusion of low & renewable energy technologies, this would reduce the heating and hot water related CO2 emissions by around 74%. The Energy Savings Opportunities Scheme (ESOS) audit is now completed for the Standard Chartered Bank. The Environment Agency administered scheme implements Article 8 of the EU Energy Efficiency Directive in the UK. An energy audit is carried out to quantify energy consumption and to identify feasible recommendations for energy savings. The ESOS notification was submitted within the first 5% of the over 9,000 of Britain’s biggest companies that are required to comply. AMA’s mechanical engineers Manuel and David attend a CIBSE course for an update on the latest sanitary and rainwater drainage design regulations and British Standards. AMA provided MEP services design and Part L compliance duties for a new Cafe building in West Sussex. The building is served by a high efficiency heat pump for heating, cooling and hot water, 17kWp solar photovoltaic installation is included. AMA carried out extensive modelling with Revit for visualisations and IES for compliance and dynamic thermal calculations. AMA are providing full MEP engineering services for the new HTM compliant interventional radiology suites at Worthing Hospital. Interventional radiologists use digital imaging to see inside the patient while performing treatment or exploratory procedures. The project is currently under construction and MH Architects have produced visuals of what the rooms will look like. The official opening event of the Sports Pavilion included the presentation of the Webb Ellis Cup trophy on its 100-day tour, building-up to Rugby World Cup 2015. AMA have been involved since the early design stages of the Sports Pavilion, a new building that houses sporting and changing facilities. The building is designed to BREEAM Excellent and is set in the thermally stable earth bank with a roof top PV array and a waste water heat recovery system. AMA are appointed by the Brighton and Sussex University Hospitals NHS Trust to carry out full MEP engineering services for the refurbishment of the Ansty Ward at the Princess Royal Hospital in Haywards Heath. The existing in-patient ward dates from 1991 and will undergo refurbishment to accommodate urology patients, some of whom stay overnight. Jerome has been at AMA offices this week for a work experience. He helped us with live projects, working on AutoCAD dwg and dxf files and generating an IES model. Jerome is currently doing his A Levels with focus on engineering related subjects and we wish him good luck with completing his current studies and applying for university. AMA are appointed by the Brighton and Sussex University Hospitals NHS Trust on the Theatre Admissions project at the Royal Sussex County Hospital to carry out full MEP engineering design services. This project is close to our offices in Brighton, giving David and Adrian an opportunity to travel to site by the sustainable transport mode of a tandem bike. AMA complete CT Scanner and x-ray rooms project at the new Queen Elizabeth II Hospital in Welwyn Garden City. We were employed by Balfour Beatty to carry out M&E services design for the specialist medical equipment rooms. The MRI examination room sections show the equipment magnetic field without consideration of the iron shielding. AMA enjoy an evening on the Bluebell Railway in the Sussex Weald. The Bluebell Railway is an operational steam hauled train and a living museum with beautifully preserved engines, carriages and stations. Our evening started at Horsted Keynes station where we boarded the Real Ale Special service, the ride took us across the countryside on the historic single track railway, making stops at the restored stations for supper, jazz and an opportunity to take a closer look at the steam engine. AMA are working for ProMEP designing domestic hot and cold water services for new high rise student accommodation. The plant design incorporates CHP with gas fired boilers and the interesting plantroom design has given us the opportunity to use Autodesk Revit MEP and provide BIM Level 2 drawings. AMA were employed by Paine Manwaring to redesign heating for the refurbishment of a Grade I listed Victorian building at Sussex Square in Brighton. The building is occupied by EF International Language Centre and includes classrooms and a cafeteria. The original cast iron radiators were flushed, filled, pressure tested and commissioned. We also provided working drawings and record drawings for the MEP contractor. AMA employed by Kier to provide MEP design services for the conversion of an existing day nursery to a new office suite serving Worthing Hospital NHS Foundation Trust Human Resources department. We have used Autodesk Revit to design the MEP systems and to produce rendered images. AMA’s David and Hanna go to a BSRIA Life Cycle Costing training course with specific focus on MEP services. The course focuses on the economic appraisal of decisions and the prioritisation of maintenance and equipment replacement budgets. Advanced LCC techniques, such as modelling complex life cycles and sensitivity analysis, are studied and applications such as prioritising projects within a limited budget and using LCC data to predict actual expenditure profiles. Local architects Moshin Cooper, who we worked with at Boundstone Nursery School on a new atrium infill, have kindly sent us some photographs of the completed scheme, their scale model and a before shot of the site as an open courtyard. AMA worked with the architects providing performance M&E design, including overheating and daylight analysis using IES Virtual Environment to assist with the design of rooflights for sufficient ventilation and natural light. AMA are members of Constructionline, the UK’s leading procurement and supply chain management service. All members are required to meet BSI developed pre-qualification requirements appropriate to public and private sector procurement, this ensures meeting of industry and Government standards. AMA are working for BBM Sustainable Design Ltd architects on a new facility for BD Foods near Hastings. The facility is a new with food production area, staff canteen and staff changing area. The image below shows proposed elevations by the architect and AMA’s Adrian in his food hygiene compliant survey kit. 100 miles completed in 5hrs 47mins, including a couple of feed and water stops. Didn’t realise the additional 20 miles involved in finding the start and then riding back from the finish to my car at the O2. Thanks to random stranger who had a sat nav on his bike that I followed back to the O2. AMA are working for the Standard Chartered Bank on a chilled water system optimisation at their London Head Offices. The critical and base built chilled water systems are optimised to reduce associated energy consumption. We are using Revit to produce drawings and design information for the project. 10 years’ experience in mechanical services including heating, ventilation, comfort cooling, and domestic hot/ cold water services. Phase 1 of the £5 million Worthing Hospital Endoscopy project is handed over. The five state of the art endoscopy treatment rooms are a part of the refurbishment of the existing building that includes a new building infill in the old internal courtyard. AMA carried out full M&E services design and are appointed for Phase 2. AMA’s Hanna Ylitalo is now a fully certified Energy Savings Opportunity Scheme (ESOS) Lead Assessor. ESOS is the UK Government‘s approach to implementing Article 8 of the EU Energy Efficiency Directive, it is mandatory in the UK, requiring all large undertakings to carry out regular energy audits, overseen by Lead Assessors, to demonstrate compliance with the scheme. AMA welcome Adrian Burgess who has been appointed as our new Associate Electrical Engineer. Adrian is a valuable addition to our team, bringing extensive knowledge and experience in the design and project management of commercial and residential projects. Merry Christmas and Happy New Year from all at AMA! We have a busy holiday period planned with our Brighton office refurbishment. The office will reopen on Monday 5th January 2015. The new Kent County Cricket Club building in Beckenham is handed over to the client. The new building includes an indoor cricket training hall and a spectator stand building with a bar lounge and physiotherapy and fitness rooms. AMA were appointed by Connect to design mechanical and electrical services and to assist with Part L compliance. AMA are using ultrasonic flow meter to collect domestic hot water consumption data at Eastbourne Hospital. This real time data will be used to accurately size a new steam DHW plant for the Sussex Partnership NHS Trust Hospital. As BSRIA members AMA have access to calibrated instruments that we use for specialist projects. In this instance the collection of real time data in the existing building enables very accurate system sizing based on real consumption, this will improve the system efficiency. AMA appointed by ES Connect to provide a feasibility study for M&E and renewable energy options for the proposed Ricardo Centenary Museum near Shoreham Airport. Ricardo are a leading engineering, technology and innovation provider in the automotive industry. The new building will be primarily used as a museum space exhibiting cars and engines, the main space will also be used as a conference facility. AMA complete the design of mechanical services for the classroom and science laboratory extension at St Paul’s Catholic College. We were appointed by Humphrey Heating to extend the existing system to provide underfloor heating, ventilation and gas services to the extension. The Blood Sciences project at St. Richard’s Hospital is completed. The project included the relocation of the Blood Sciences into newly refurbished laboratory within St. Richard’s Hospital. AMA carried out full M&E services design, including IES thermal dynamic analysis, cooling for the 50kW equipment heat gains, specialist conditioned water supply and drainage system for specialised medical waste. AMA appointed by White Design Associates to carry out environmental appraisals of various East Sussex County Council school extension. The reviews include building services feasibility studies and recommendations of suitable renewable technologies. Thermal dynamic modelling is used for risk of overheating and natural ventilation assessments. AMA are working on an innovative solar photovoltaic (PV) solution for the Standard Chartered Bank’s London HQ Building. The new PV installation will be mounted on special platforms that are specifically for green roofs and include a ‘wicking’ capillary fleece that draws water to vegetation under the panels. The two technologies work in synergy and enhance each other; the evapotranspiration of the plants cools the PV panels improving their efficiency and the PV panels provide shade and additional moisture to the vegetation. Important species (Toadflax Brocade Moth, Brown Banded Carder Bee and Black Redstart) are already visiting the green roof and the new installation will enhance local biodiversity as there is potential to add floristic variety and therefore increase the fauna. AMA hospital project wins national recognition. Worthing Hospital Emergency Floor has been chosen by the Royal College of Physicians’ as a development site for the Future Hospital programme that focuses on improving the care of patients. You can read more in this article by the Argus. AMA are members of the Building Services Research and Information Association (BSRIA). This association is a test, instruments, research and consultancy organisation, providing specialist services in construction and building services. Being accepted as a member demonstrates AMA’s credibility within the industry and provides assurance to our clients that we have access to the latest independent thinking. AMA’s Manuel Carrasco has begun his Masters Degree at the London South Bank University. Manuel will complete the Building Services Engineering MSc part-time over 28 months while carrying on with his work at AMA. The course is well recognised within the industry and fully accredited by CIBSE. Manuel is looking forward to broadening his knowledge with leading academic experts in the field of building services engineering. AMA are now fully accredited CIBSE Low Carbon Consultants. AMA’s Hanna Ylitalo is a qualified LCC Building Design and Simulation specialist after completing the training and exams with our technology partners IES and CIBSE for the upgrade of the revised Part L 2013 regulations. Low Carbon Consultants can confirm Part L2A Compliance, advise on energy efficiency and conservation, design low carbon and renewable energy technologies and use passive design technologies to make the best use of shade and natural ventilation. AMA are retained by the University of Brighton, working for LCE Architects to oversee the MEP design and installation of the new Sports Pavillion on the Falmer Campus. The new sports facility building incorporates renewable energy technologies and is designed to achieve BREEAM Excellent rating. AMA are further investing in in-depth specialised training with our technology partners IES Virtual Environment and Autodesk Revit. We are focusing on detailed building physics and mechanical services analysis with IES ApacheHVAC and using Revit to ease the understanding of increasingly complex plant areas. This training keeps us ahead of the game for the increasing requirement of BIM implementation and its technological challenges. AMA appointed by Kier to design MEP engineering services for a new £4.5 million endoscopy facility at Worthing Hospital. The project involves refurbishing existing areas as well as the construction of a new ground floor section within the existing West Block. We are approaching this project by front loading with detailed surveys of existing services and workshop meetings with facilities and maintenance teams, to enable us to put together a detailed design package including engineering enabling works. The new South East Hants Resource centre, a new ambulance make ready facility was completed and handed over to the client South Central Services NHS Trust. AMA have been involved from inception to completion, providing performance MEP specifications and drawings. The facility is located in Cosham, and has been incorporated into an existing industrial building. AMA and Global Documentation are working together on a number of projects at the Standard Chartered Bank’s London offices. Our projects include assessments of existing services and building optimisation to achieve the client’s aspiration for a more energy efficient and low carbon building. We have used IES thermal dynamic modelling to assist in predicting the building energy performance in detail. AMA and our sister company Enviroblinds attend the CIBSE Building Performance Awards 2014. We were shortlisted in the Energy Saving Product of the Year category for our work in pioneering the use of external roller blinds as an energy saving device in the UK. We all had a great night but unfortunately did not win this year. We are pleased to be working with Global Documentation on an energy assessment for Standard Chartered Bank’s new regional HQ in Accra, Ghana. We have used IES thermal dynamic modelling to assist in predicting energy outcomes resulting from alternative renewable technologies. Seasons Greetings from all at AMA! We wish you a Merry Christmas and a prosperous New Year. AMA have started work on a local landmark building, the old Co-op Department Store in London Road Brighton. The site is very close to our office and the first project we can see from our window. We are designing mechanical services and working for Techelec. The façade of the old building is retained and a new structure is created behind it, the new building includes commercial space and 355 bed student accommodation. We are back at Gatwick South Terminal after 15 years! We are designing mechanical services for the Skybreak Service Desk and working for Techelec. The technology used in our daily work has greatly developed since our last project here; our drawings are AutoCAD or Revit for BIM projects, we use IES Virtual Environment thermal dynamic software, Amtech ProDesign for electrical design, DIALux and RELUX for lighting design, communications are via emails, smartphones and tablets are with us everywhere, we have WiFi, Cloud, DropBox, LinkedIn, social media… Whatever next? We have commenced design work for Mansell at Rockdale, a charitable Housing Association in Sevenoaks. The Rockdale project includes a new 48 bedroom care home for the elderly, 29 new sheltered apartments and the refurbishment of the existing Rockdale House. Our generator project is complete for Rusthall Lodge Housing Association. The standby generator is sited within the grounds of the nursing home and housed within an acoustic enclosure limiting the noise levels. The generator will run during periods of disruption to the local mains network or during planned maintenance periods. AMA have provided full electrical services design and project management, including applying for and obtaining Planning Permission. AMA are working on a new project for Octink to provide MEP services design at the Chobham Manor. The building is a marketing suite forming part of a wider residential development; the first new neighbourhood in the Queen Elizabeth Olympic Park. The demountable temporary structure will be in place until 2018 and utilises the same demountable construction technology used on the Olympic Park during London 2012. Indicative illustration by Octink. The mechanical and electrical services being installed in the existing ground floor of the East Wing in Worthing Hospital, part of the new Emergency Floor project. The project is being completed in phases, adjacent to live working clinical areas. Design process cooling for new blood analysers at St Richards Hospital, Chichester, connecting to the existing site chilled water system. Part of continuing refurbishment works of the existing Pathology Block. AMA welcome a new member of staff, Manuel Carrasco. Manuel has a background of mechanical building services engineering design and site management with a BEng in Building Engineering from Universidad Politecnica of Madrid. Manuel is appointed as a mechanical engineer. AMA go to the horse races at Goodwood. The group were treated to a beautiful sunny day with the excitement of the betting and the races. AMA have been appointed by the Isle of Wight NHS Trust to carry out a feasibility study into engineering services for 3 new facilities, MAU, Endoscopy and Ophthalmology. AMA attend KTP Associates Conference at the University of Brighton where Hanna Ylitalo presents a paper and poster titled “Environmental performance of external roller blinds in the UK” summarising the findings of the AMA and University of Brighton Knowledge Transfer Partnership (KTP) academic research collaboration to date. AMA go to t20 cricket at the Ageas Bowl to see Hampshire Royals v Sussex Sharks. AMA supported the Sharks who won the toss and elected to bat, in the end Hampshire won by four wickets. AMA and University of Brighton academic collaboration paper “Environmental benefits of external roller blinds retrofit for offices in the United Kingdom” is presented by Dr Kenneth Ip of University of Brighton at the CIB World Building Congress in Brisbane Australia. CIB is the International Council for Research and Innovation in Building and Construction, a worldwide network of experts with a research, university, industry or government background. This paper includes a Life Cycle Assessment (LCA) of the external roller blinds – the results show that the device’s embodied carbon payback period can be as short as six months. AMA have been employed by Mansell as MEP consulting engineers to provide full MEP professional services for the refurbishment of the existing Vanguard Building in Cosham, Hants, which will become a new health centre. The project gives us the opportunity to continue using our MEP Revit software to help develop the BIM model of the project. AMA sign up for Brighton and Hove 10:10, a campaign where all participants cut their carbon emissions by 10% in a year, and keep going the next year. AMA are committed to reducing our current calculated carbon footprint of 2.9 tonnes of CO2e by 10% within one year. AMA welcome a new member of staff, Aroa de Cosa Guerrero. Aroa has a Degree in Urban Development and Land Surveying and originally trained as a cad technician in Spain, working for a water treatment plant turnkey contractor. She manages our cad department and assists in developing cad standards, including using MEP Revit software. AMA achieve Carbon Smart Certification, which is an ongoing sustainability programme that recognises and promotes businesses that have taken action to reduce their impact on the environment. Our primary impact on the environment is our transport related emissions and the daily running of our office. AMA are committed to reducing our current calculated carbon footprint of 2.9 tonnes of CO2e by 10% within one year. The University of Brighton have appointed AMA as building services consulting engineers, to design the mechanical and electrical engineering services for a recent building acquisition in Brighton, namely Cavendish House in Kemp Town. The University are keen to repeat what we have done at their Grand Parade site in the media suite, and have exposed services in workshop and studio areas, which will give a light and airy feel to these contemporary spaces. AMA visit the Newhaven Energy Recovery Facility. The impressive facility treats 210,000 tonnes of household waste, that is unsuitable for recycling, per year and generates electricity from it. The electricity produced is sold to the National Grid and is enough to supply 25,000 homes. Image by Hochtief UK Construction. South Central Ambulance NHS Trust appoint AMA as building services consulting engineers. This is a new project based in Cosham Hampshire and includes refurbishment of an existing commercial warehouse, to provide a new the new South East Hampshire Resource Centre. Ambulances will be maintained, clinically cleaned and prepared for service. AMA and University of Brighton complete their first academic paper “Thermal performance of external roller blinds retrofit for offices in the United Kingdom“. Paper published and presented by Hanna Ylitalo at the EPPM2012 Conference, Brighton 10 – 11 September 2012. AMA and the University of Brighton are awarded the prestigious Knowledge Transfer Partnership (KTP), a European Programme encouraging academics to work with businesses. The project focus is on bringing external roller blinds to UK as an energy saving device. Immediate outcome of the collaboration is the formation of our new sister business Enviroblinds. Hanna Ylitalo will be presenting a paper titled “Thermal Performance of External Roller Blinds Retrofit for offices in the United Kingdom” at the EPPM 2012, 3rd International Conference Engineering, Project and Production Management, to be held at the University of Brighton. Hanna has been carrying out research on the thermal performance of external roller blinds as part of her MSc in Sustainability of the Built Environment, in conjunction with the University of Brighton. We would like to thank Mansell for constructing the mock-up test rooms at the University of Brighton last summer, and Aluplex for providing the external blinds. Congratulations to Graeme! Graeme Badcock, a director of AMA has recently achieved CIBSE membership and Chartered Engineer status. Eventually Graeme did the necessary paperwork, it’s good to have another Chartered Engineer in the practice. AMA are involved in their first BIM (Building Information Modelling) project. Employed by Mansell Construction, AMA are building services engineers for the new Breast Clinic at Worthing Hospital. “This is a great opportunity for us to train and invest in BIM. We are in the process of training to use Autodesk MEP Revit 2013, which we will be using to design the mechanical and electrical engineering services for the new breast clinic.” says David Marshall. AMA appointed by Argent Mechanical to design the replacement central boiler plant at Regent’s College in London. Regents College is a prestigious private university partly located in Regents Park. The design involves, installation 2000kW of gas fired condensing boiler, with facilities for the possible future integration of a gas fired CHP system. AMA appointed by LCE Architects as services engineers, working on the feasibility study of a new sports pavilion for The University of Brighton at Falmer. The client’s brief is for a BREEAM excellent building. AMA are currently trialling IES Thermal Dynamic software to assist with feasibility study. Image by LCE Architects. The new laminar flow theatres were handed over to Western Sussex Hospitals NHS Trust yesterday on time and within budget. AMA were appointed by Kier to carry out detailed design of the mechanical and electrical engineering services, including above ground drainage. The project was particularly challenging in terms of designing the engineering services and plant that would fit into the existing limited roof space. AMA used SketchUp to assist in visualising the plant layout, and to check on installation options. The installation was completed within a ‘live environment’, adjacent to existing working operating theatres. The project benefited from generous feasibility and design time to look at options and develop the preferred option with detailed coordinated mechanical and electrical services drawings. AMA have been appointed by Focus Consulting to design the building services for the remodelling of staff work spaces at three National Grid substations. Works at The Isle of Grain, Ninfield and Dungeness include refurbishment, remodelling and extending office accommodation, mess facilities and ablutions at each of the premises. The projects follow on from our previous involvement with the National Grid and Brighton-based Focus Consulting with whom we have completed numerous projects since 2006. AMA have set up a project with the University of Brighton and Mansell to investigate the environmental benefits of external window blinds. We are currently testing an external blind at the University of Brighton Cockcroft Building during the month of August. We are hoping to publish our report with results by November 2011. AMA have been appointed by Surrey & Sussex Healthcare NHS Trust as building services engineer at East Surrey Hospital for the refurbishment of the existing operating theatres. The weather was on our side as the air source heat pump was finally lifted into position on 27th June. 10 metres long and with an operating weight of 8400kg, the heat pump incorporates an air cooled chiller, primary LTHW and Chilled Water pumps. Heating output is 332 kW at an ambient of -4degC. AMA holds a drinks reception at the Brighton Toy & Model Museum. The highlight of the evening was the demonstration of the 1930’s three-rail ‘0’ gauge working model railway, featuring authentic period track side accessories. Image by Brighton Toy & Model Museum. AMA are currently working for Western Sussex Hospitals NHS Trust, providing engineering design for new laminar flow theatres. Appointed by Mansell as Building Services Consulting Engineers on new £5.5m OPD building at Worthing Hospital. We are aiming for BREEAM Excellent rating. AMA are working on the new Outpatient Department building with HLM architects and CSC Engineers. This innovative design raises the refrigerant evaporation temperature during low temperature conditions by directing ventilation exhaust air at the air source heat pump. Image by HLM Architects. David Marshall Jnr, Graeme Badcock, Hanna Ylitalo and Jesus Vizcaya join AMA. AMA (Alonso Marshall Associates) Ltd is a Brighton-based building services consulting engineers, launched by David Marshall Snr in 2007. The close team of highly experienced engineers and technologists, who have previously worked together at DMA are now reunited at AMA, focus on creating sustainable, efficient and culturally-appropriate businesses and places.